One of the most common blood-related conditions our private doctors see is anaemia. There are various different types of this condition, with an even longer list of causes (which may require investigation). 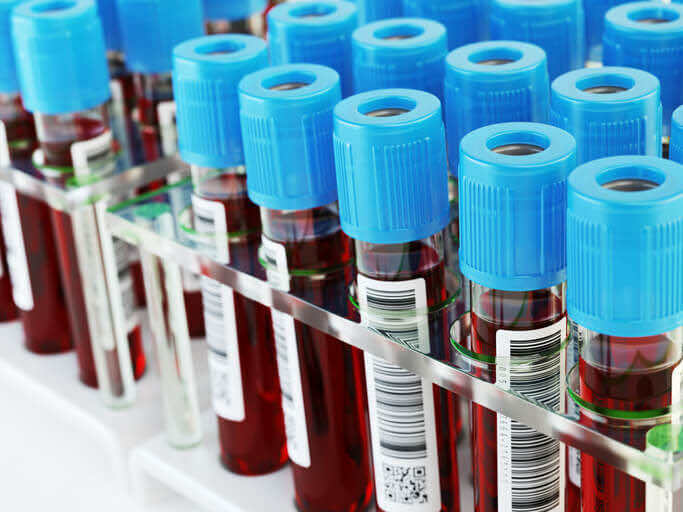 Our doctors at LDC are highly experienced in diagnosing and investigating anaemia, offering some of the best value private blood tests in London, as well as treating the condition. Do you give blood? Or have you ever received a blood transfusion? Blood donation is one of the most precious gifts people can give. You never know when you might need a blood transfusion yourself – whether it be after an accident, operation or chronic condition like anaemia (which has failed to respond to other treatments). Should such a situation ever arise, fingers crossed enough selfless volunteers of your blood type have recently given blood. The only way to ensure this, is to pay it forward and join the blood donating community if you can. In our bodies, red blood cells are one of the main components that make up our blood. These cells contain haemoglobin, which is an iron-containing protein that gives blood its red colour and carries oxygen around the body to all our tissues. Anaemia is a condition that results in insufficient transport of oxygen due to a problem with the red blood cells or haemoglobin. There could be less red blood cells than normal or a lack of haemoglobin, in which case there are different causes for each of the defects. If you have mild anaemia, then you may only experience a few symptoms – such as tiredness, fatigue or a pale complexion. The more symptoms you have, the more severe the condition is. The only way to determine if you have the condition is by getting a blood test. If you have been diagnosed with iron-deficiency anaemia, the treatment can include taking iron supplements or eating a diet rich in iron-containing foods such as red meat, green leafy vegetables like spinach and kale, or other alternatives such as beans, nuts and whole-grains. Your doctor will take some blood from you to analyse your red blood cell levels along with various other parameters. This can identify if you are anaemic but may not rule out the cause. Unless there is a clear cause of the anaemia (like pregnancy or dietary reasons such as vegetarianism) then more tests may have to be carried out. Some causes are more serious than others and it’s important to get to the underlying reason. Treatment for anaemia is therefore dependent on the cause, which your doctor will discuss with you. So, if you’re experiencing any of the above symptoms, or are at all concerned about anaemia, why not book to see one of our experienced private GPs, for private blood testing, diagnosis and treatment? We have 12 GP surgeries across central London – all of which have future and same day doctor appointments available. As always, if you need to find a GP, LDC is here for you.